To kick off Shark Week we give you some sharks from your favorite games. Awh, no sharks from Donkey Kong Country or Resident Evil? 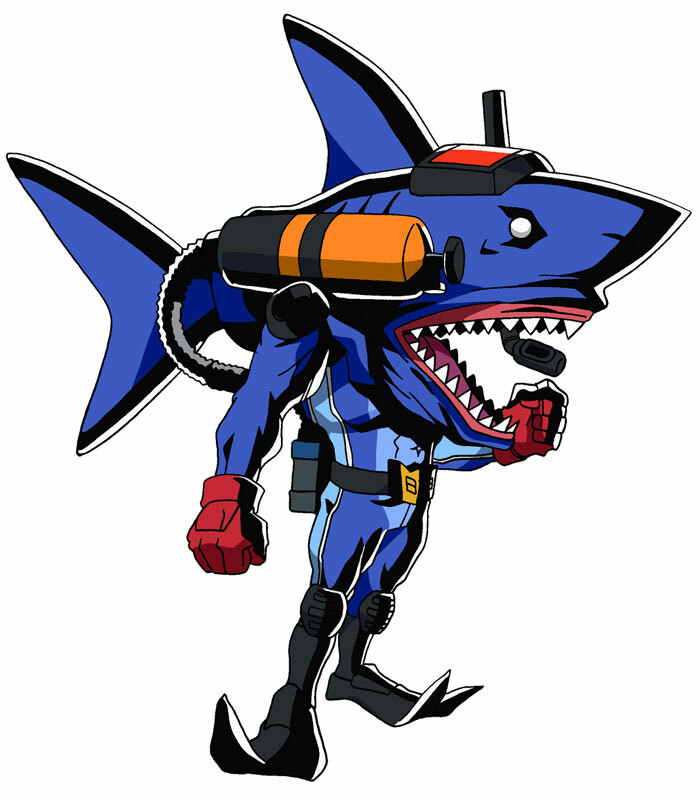 Which reminds me: I still need to try out the Shark-O-Matic in Saints Row 3. "I think... I'm going to take a... um... oh... durr!" Perhaps he doesn't look much like one, but going to shout out the Lurker Shark from Jak and Daxter. That sound that happens whenever he gets near makes me want to mash ALL the buttons. 1 point for mentioning Banjo-Kazooie. Nice list. I'll have to check out Armed and Dangerous if I can. 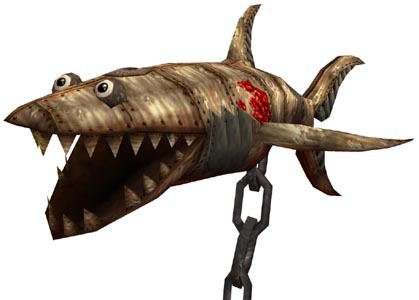 How could you make a list about video game sharks, and not mention "Saint's Row III"'s Shark-O-Matic? I'll have to check out Armed and Dangerous if I can. You really should. Armed & Dangerous, along with the studio's precursor title Giants: Citizen Kabuto, is criminally underappreciated. They're not perfect, but the sense of humor and raw charm of the titles more than makes up for the flaws. A&D also has some of the craziest weapons I've ever seen. Like the Land Shark Gun (the source of the picture), which fires a homing shark that swims through the ground before erupting out from underneath it's target, then sinks back under and hunts down a new target up to a total of 3 targets. Or the Topsy-Turvy Bomb, which is a giant corkscrew that your avatar sticks into the ground and the world turns upside down... but gravity doesn't, so all the bad guys in view fall into the sky while your character hangs onto the top of the corkscrew, then the universe rights itself and everyone that fell up now falls back down to hit the ground at terminal velocity. Oh wow! So it's those games? I've seen those on console many many times but I always passed because frankly, they looked like really bad games from the cover + back info. So thanks! I'll prolly pick one or both up on Xbox if I see them in any Game X Changes..
What, no love for NES Jaws? Boo!